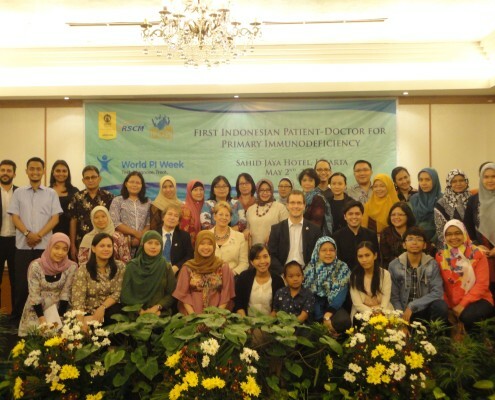 The first IPOPI Indonesian PID Patients-Doctors National Meeting took place at the Grand Sahid Jaya Hotel, Jakarta, on Saturday 2nd May 2015 and brought together 55 participants from various regions in Indonesia including patients, family members, Indonesian doctors and guest lecturers from The Netherlands and Malaysia. The meeting was the first of its kind in Indonesia, providing both scientific lectures and patients’ presentations. The attending physicians Prof Van Hagen (IPOPI MAP Member, Netherlands and Thailand), Dr Adli Ali (IPOPI MAP Member, Malaysia) and Dr Nia Kurniati (Universitas Indonesia/ Cipto Mangunkusumo Hospital) gave excellent presentations that went over the functioning of the immune system, the history of the diagnosis of PIDs in South East Asia and particularly in Indonesia. The Patient presentation sessions opened with Johan Prévot (IPOPI Executive Director) providing an overview of IPOPI’s activities and support programmes available to NMOs. He stressed the great milestones recently achieved in South East Asia through the IPOPI Bob Le Bien Asian development programme, the launch of new NMOs in Malaysia, Thailand, Hong Kong, and Singapore. The creation of SEAPID at the meeting co-organized by IPOPI and the Care-for-Rare Foundation in Bangkok in early 2015 was highlighted as a key development for the region. In the PID patient panel session Ghifary Muhammed, a young patient living with agammaglobulinaemia, his mother and the mother of Abel Mehola, a Hyper IgE syndrome patient, provided their testimonies on living with a PID and the difficult journeys that finally led to correct diagnosis. 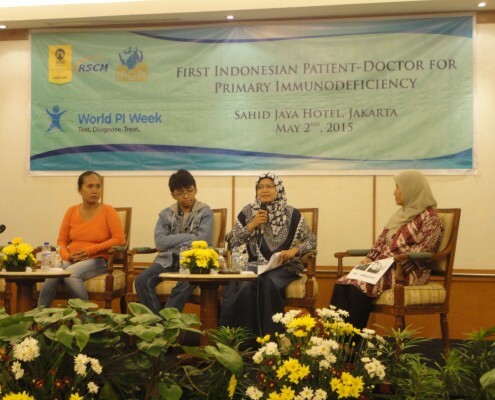 In this session clearly demonstrated the importance of having a patient organisation and increasing awareness of PIDs in Indonesia to improve diagnosis rates and provide appropriate treatments to patients in need. The main outcome of the discussion was a unanimous agreement between the patients and the doctors that a national patient organisation should be launched as soon as possible. Participants agreed that the first step should be to identify additional patients willing to participate in a future group through communication between the different centres and doctors reaching out to their patients and families who will then be invited to meet together with a view to launch an IPOPI Indonesian NMO. It was also agreed to form a network between the different centres to share diagnosis facilities and exchange specimens. 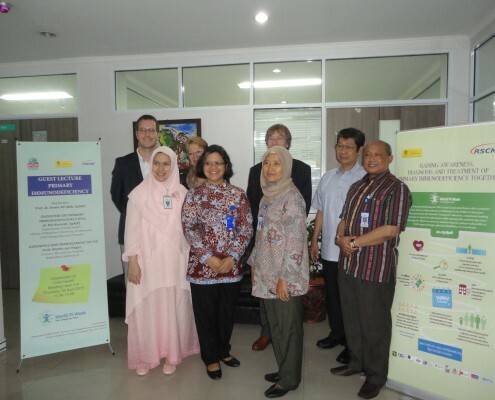 The meeting was organised in collaboration with Cipto Mangunkusumo Hospital (CMH) and the Faculty of Medicine Universitas Indonesia (FMUI) with the support of the Bob LeBien Asian Development Plan and of Octapharma. 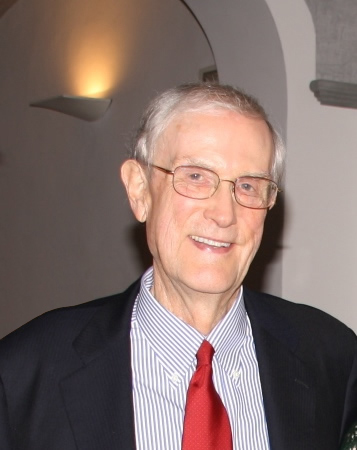 The meeting was held as part of the celebrations for the 2015 World Primary Immunodeficiencies Week (WPIW).